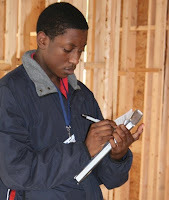 A class of smart carpentry students from Garrett Academy took a tour of two I’On homes that we are currently building. 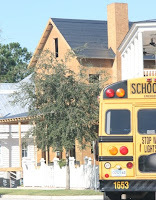 The two houses are in different phases which enabled them to have a better understanding of the steps that must take place between final framing and moving into finishing out a home. I was very impressed as they listened attentively to Project Manager, Dave Hargis, as he shared from his own experience along with their great questions and interest in hearing his answers. I told these 9th and 10th graders that by their forethought, they are serving a need that’s lacking within our industry. 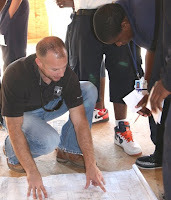 When asked about their personal aspirations, they varied from wanting to be a construction worker, becoming a custom home builder, to becoming an architect. I don’t think it was a coincidence that many of them have been introduced to this occupation by a relative or someone they respect. . . a challenge to each of us not to underestimate the impact we can have on the choices this future generation is making right now for tomorrow.